As our client The Big Issue rolls out contactless payment systems to its vendors, we speak to managing director Russell Blackman. We find out what effect this is having on magazine sales. 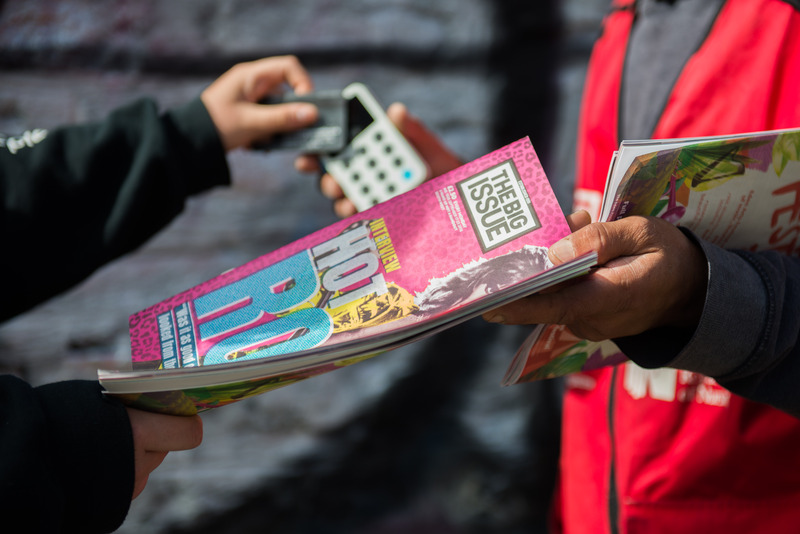 Street newspaper The Big Issue has teamed up with contactless payment provider iZettle. In a bid to keep up with an ever-increasing “cashless society”, it now issues homeless vendors with card readers. Founded in 1991, The Big Issue sets out to help homeless individuals, or those at risk of homelessness, earn a legitimate income. With their “hand up, not a hand out” mission, the social business helps its vendors reintegrate into mainstream society. The shift towards contactless kicked off in December. 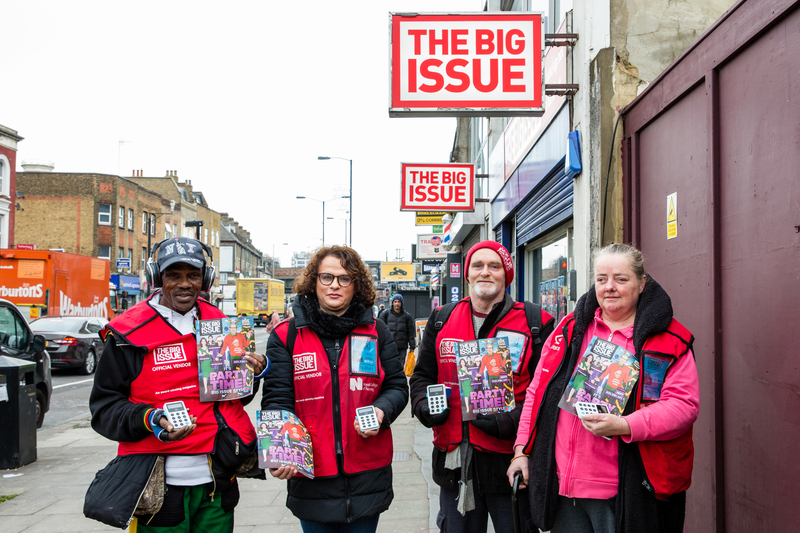 In an eight-week trial, 20 The Big Issue vendors across London, Bath, Birmingham, Bristol, and Nottingham tested the technology to see how it impacted sales. And sales are essential. As entrepreneurs, making a decent living hinges on the number of transactions they make. Vendors purchase The Big Issue magazine for £1.25 to sell it for £2.50. Thus, having access to the right payment is key. “Ultimately we want to help to give our vendors an income to help them to lift themselves out of poverty. Cashless payments are helping them to keep up with the times,” says The Big Issue’s managing director, Russell Blackman. “Now there are a number of good-quality free publications available on the streets, we need to stand out,” he says. “By making it as easy as possible for the public to buy the magazine there’s a greater chance that people will do just that,” he says. But how rapidly is the number of cash carriers dwindling? According to data collected by The Guardian, 2006 saw 62% of all payments in the UK made using cash. In 2016, it had fallen by 40%. And this number is only set to decline further. However, one significant barrier stands in the way. In order to set up a bank account to link to the card reader, the vendor must have a permanent address. “To overcome this challenge, we’re working with FinTech companies who are tackling this problem,” says Russell. Find out more about our work with The Big Issue.